They lie in wait for their victims. Scattered like deadly seeds, they do not recognize child or adult, human or animal. Any pressure, even from a child, will set them off. They do not recognize ceasefires, they continue to kill and maim long after the end of conflicts. They rob communities of their people, their land and their freedom. Years on end, they instill fear in communities and are a barrier to development. Landmines deprive some of the poorest people around the world access to arable land, markets, schools, work and water. But just how did these weapons of destruction come in to use? The International Campaign to Ban Landmines (ICBL) states that anti-personnel mines were first used in World War II. Since then, the devices have been used in the Korean War, the Vietnam War, and the first Persian Gulf War. Eventually, landmines were used as weapons of war in many countries around the world, including Africa, where they continue to destroy lives. Originally, they were used to protect strategic areas such as borders, camps or important bridges, but over time, they began to be used in internal conflicts specifically to target civilians. They were no longer marked and therefore civilians, peacekeepers, soldiers had no way of knowing if they had entered a mined area. The International Committee of the Red Cross states that there are an estimated 110 million anti-personnel mines in the ground and another 250 million stockpiled across the world today. Once mined, landmines do not go away until they are removed. It is for this reason that a number of humanitarian organizations, like United Nations Mine Action Service (UNMAS), have taken it upon themselves to put an end to the suffering caused by anti-personnel mines by offering mine risk education, land clearance, weapons and ammunition management. According to the UN, years of armed conflict in Somalia has led to widespread contamination with unexploded ordnances (UXO) and landmines, the proliferation of small arms and light weapons and a steady rise in the use of IEDs. 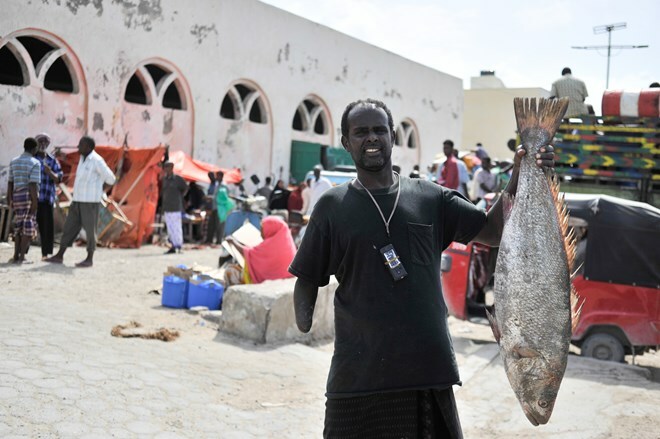 UNMAS, an integrated component of the United Nations Assistance Mission in Somalia (UNSOM), was launched to provide strategic policy and technical advice to the Federal Government of Somalia (FGS) and the Somali security forces (SSF). UNMAS and its partners save lives and limbs by surveying, mapping, marking, detecting and destroying explosive hazards. 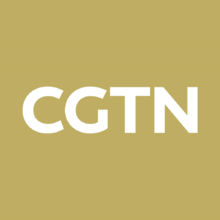 Qurat-Ul-Ain-Sadoza, UNMAS program director in Somalia tells CGTN that, civilians suffer 44% of the injuries caused by landmines in Somalia and the number of injuries is gradually increasing. “In 2016, we had 300 incidents in Somalia but we now have over 500 incidents,” she said. Explosive Remnants of War affected 8 children in 2018 raising the alarm for much more to be done in mine awareness. “This is a big tragedy, a big concern for us that continues to manifest itself and needs to be addressed in Somalia,” she added. Since the inception of UNMAS in Somalia in 2007, a number of projects have been set up to assist the Somali community in ensuring the safety and security of civilians. Educating them about the dangers of landmines is a top priority. 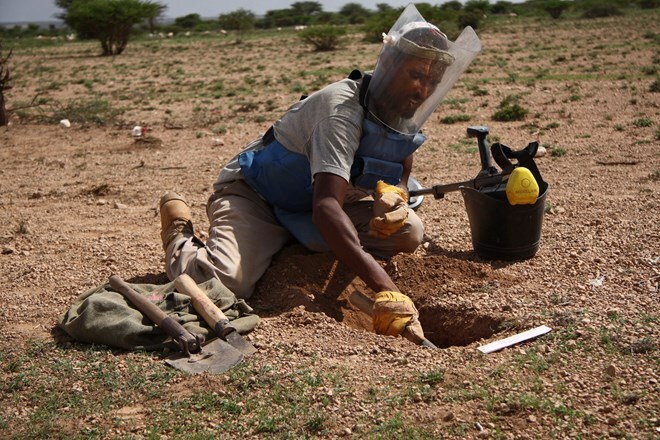 Somalia currently has over 114 minefields and 232 unexploded ordnance (UXO) sites and therefore UNMAS goes out to reduce the danger and protect people from the physical and psychological harm caused by these explosive hazards. 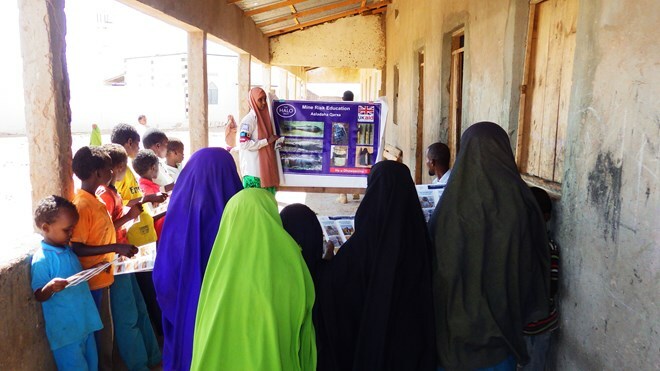 UNMAS trains Somali youth to go from village to village getting rid of the domestic stockpile of landmines that some people keep in their homes. This not only clears the area of explosives but also provides employment to the Somali youth. Asked what the future looked like, Sadoza was positive saying that there was progress already towards creating a mine-free Somalia but she called on other stakeholders to work together to ensure that Somalia is declared mine free by 2022. On 8 December 2005, the United Nations General Assembly declared that 4 April of every year shall be observed as the ‘Mine Awareness and Assistance in Mine Action’. The UN declares that there must be continued efforts by States and relevant organizations to foster the establishment and development of national mine-action capacities in countries where mines and explosive remnants of war constitute a serious threat to the safety, health and lives of the civilian population. Those who have been affected hope that these words will ring true and that Africa and the world at large may one day, sooner rather than later, be declared mine free.